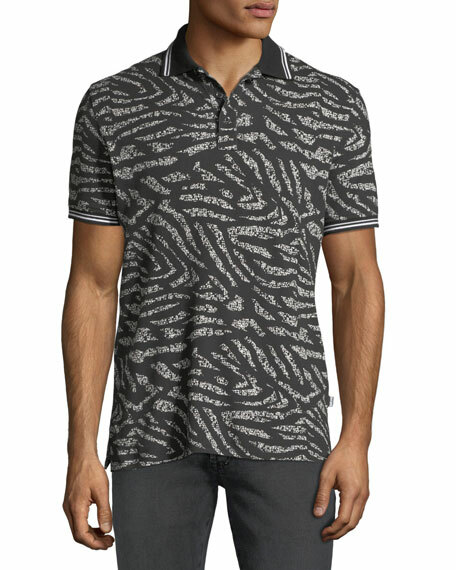 Just Cavalli polo shirt in tiger stripe knit with striped tipping. Roberto Cavalli introduced Just Cavalli in 1998 as a more youthful interpretation of his eponymous collection. 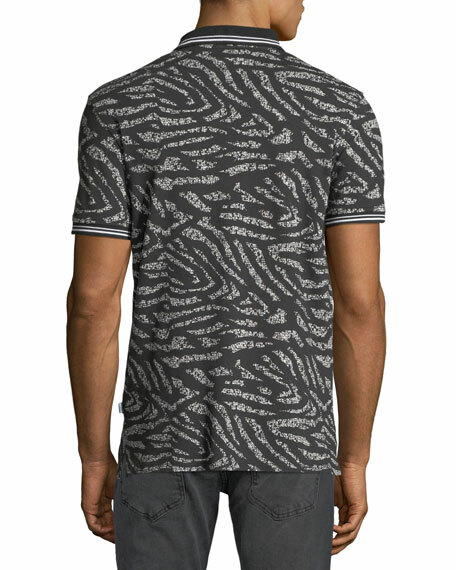 Just Cavalli is full of beautiful clothes with bold cuts and a fiercely flirtatious vibe. For in-store inquiries, use sku #2635680.